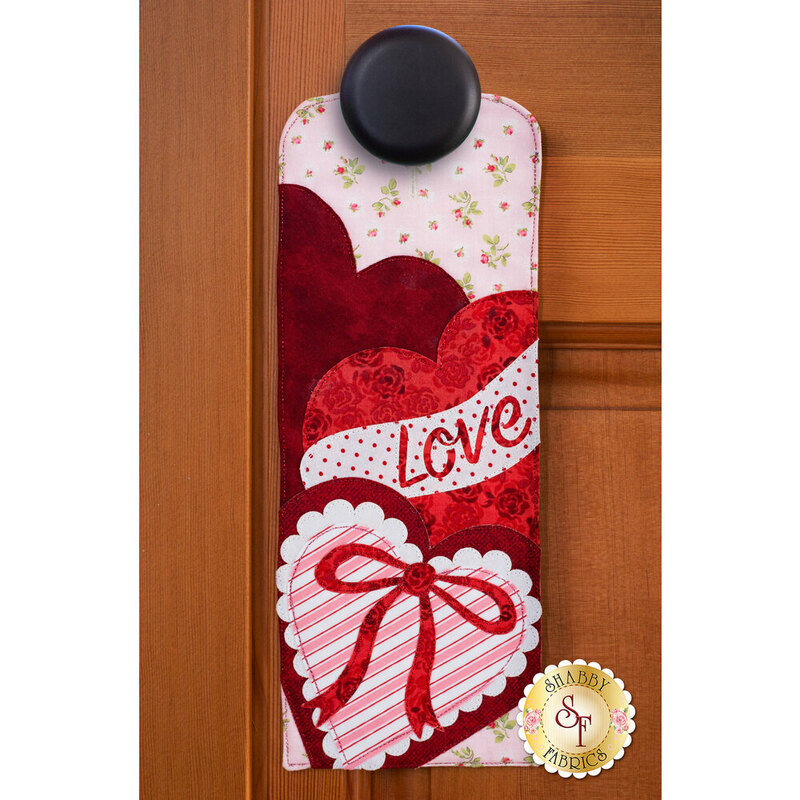 This adorable A-door-nament shares a greeting of love as your guests arrive! 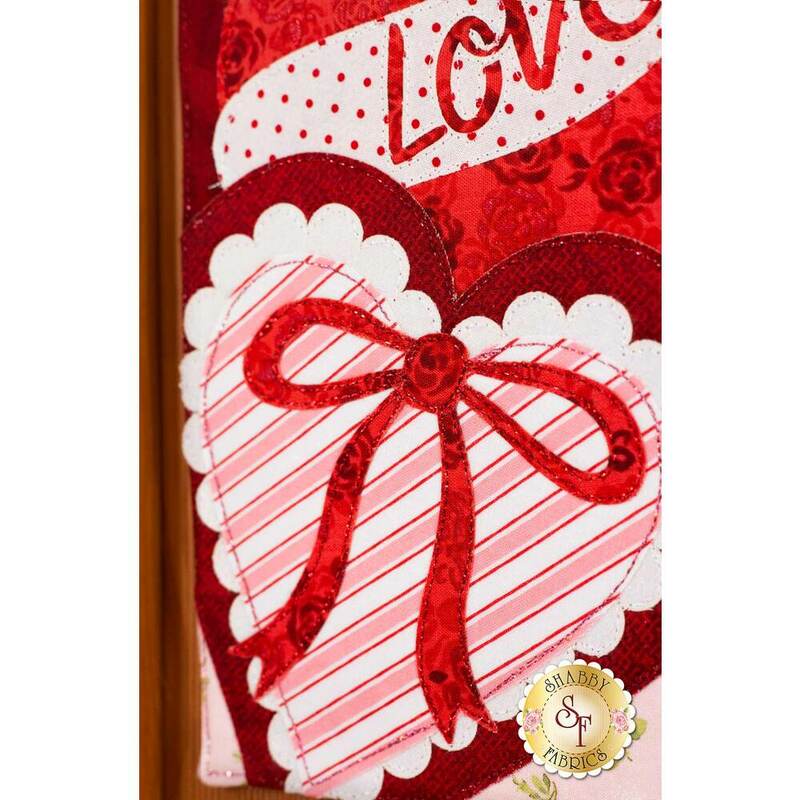 The kit is 100% pre-fused and laser-cut, so all you need to do is place the pieces, and sew! 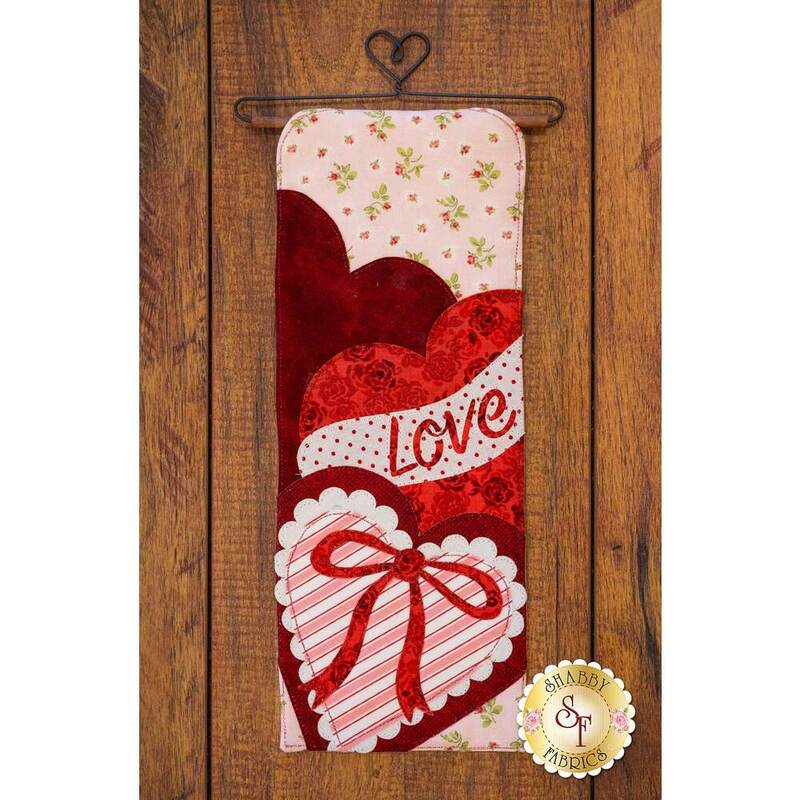 Welcome family and friends into your home with this Shabby Fabrics exclusive series which features 12 adorable ornaments for your door (A-door-naments)! 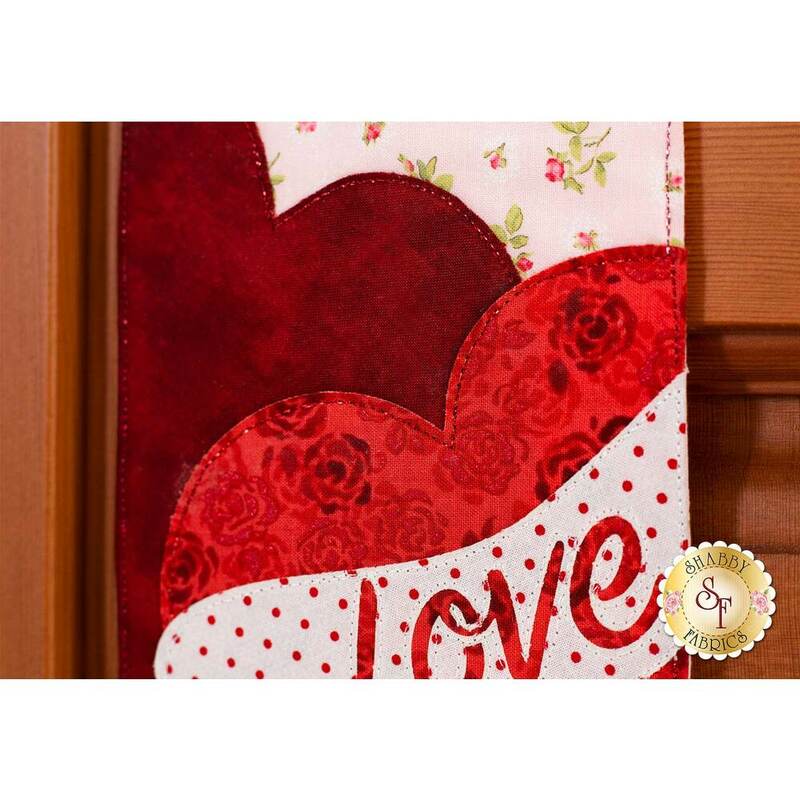 Each month has a dedicated design and is 100% Laser-Cut for you, including the fusible fleece! All you need to do is layer the fabrics, iron in place, stitch and flip! An opening can be cut to accommodate any sized door knob or handle OR choose the wall hanging finishing option which fits our 6" craft hangers! 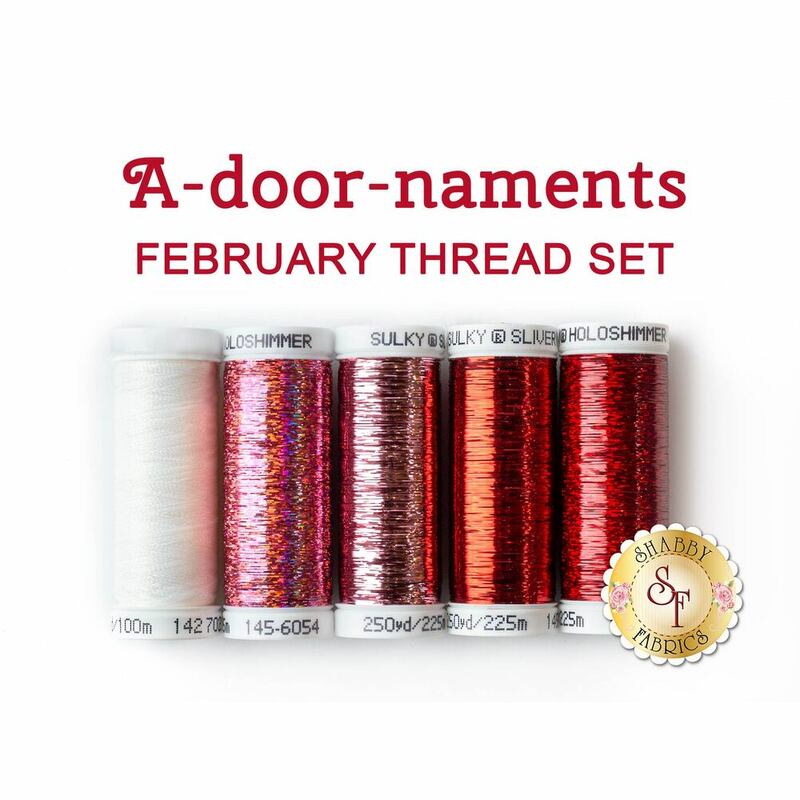 Add amazing sparkle to your A-door-naments using each months hand selected thread set! A-door-naments measure approximately 5" x 14¼".